Are you a lace fanatic or interested in the techniques of making lace? Then we have got a treat for you! 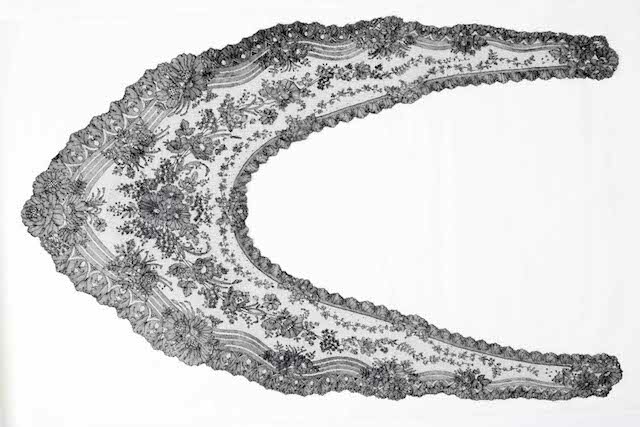 On Tuesday, the 18th of November, MoMu is organizing a workshop that revolves around lace! It will take place partly in MoMu and partly in the Carolus Borromeus Church. 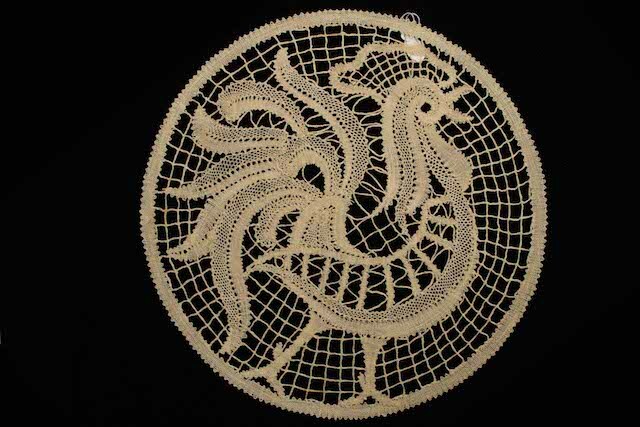 The purpose of this workshop is to make the participants aware of the different techniques that go into the process of making lace. Joining us will be Frieda Sorber, conservator of the historic collection in MoMu and Godelieve Vroom and Nora Andries, both who have connections with the Carolus Borromeus Church. Frieda Sorber manages our extensive lace collection and regularly advises in lace collections in Belgium and abroad. Godelieve and Nora are volunteers who are active in different churches and museums. The day of the workshop will start off with a presentation on how to handle lace and identifying the various lace structures on the basis of the study collection of MoMu. In the afternoon, an introduction of various 17th and 18th centuries lace styles based on the collection of the Carolus Borromeus Church will be given. Registration for the workshop is required. The number of places in the workshop is limited so signing up quickly is the key! Registration fee is 35 euros per person. Please send a mail to info@momu.be and state your name, address and possibly name of the institution/organization. This entry was written by Birgit Ansoms, posted on October 28, 2014 at 09:11, filed under Collection, Event and tagged Frieda Sorber, lace. Bookmark the permalink. Follow any comments here with the RSS feed for this post. Both comments and trackbacks are currently closed.